Ever wonder what would happen if nothing was illegal? Maybe it’s implausible. Ten years from now, America is a veritable paradise: unemployment is at a mere 1 percent and crime is virtually nonexistent. And it’s all thanks to The Purge, an annual 12-hour free-for-all during which all crime, including murder, is legal. That’s the premise of The Purge, which doesn’t seem to quite hold up against human nature. Would a few hours every year be enough to satisfy the urges of the most violent among us and keep them in check for an entire year? Wouldn’t crimes of passion still be a problem? How could this possibly work in the real world? It’s entirely possible that it doesn’t actually work even in the world of The Purge. For we experience everything here — Purge Night 2022 — through the eyes and ears of the charming, all-American Sandin family, who live very sheltered lives in an upscale, gated suburban neighborhood. The news flows into their tastefully decorated McMansion via their TVs, broadcasting material that appears to be almost wholly under the purview of a leadership called the “New Founding Fathers,” espousing a philosophy that could be called pious only in an Old Testament sort of way. Paradise America is under some form of fundamentalist Christian dictatorship, and if we can’t believe what we see on TV now, how likely is it that TV is telling the truth in this twisted 2022 USA? Plausible or not, with this conceit writer-director James DeMonaco has found a prism through which to do something extraordinary with the genre. It’s the sort of thing horror movies should do but rarely manage: instead of indulging our baser natures, The Purge makes us question the human propensity for violence; instead of reveling in blood and gore, The Purge forces us to explore our relationship with violence, both as individuals and as a society. The Purge is hardly a deeply thoughtful film, but there is some discussion among the Sandins about the difference between legality and morality, particularly between mom Mary (Lena Headey) and preteen son Charlie (Max Burkholder from Parenthood), whose typical pubescent poutiness in this world extends to not liking the idea of being able to kill people with the blessing — in this case literally — of the powers that be. And this is when The Purge starts to get really interesting, by adding layers of startling satire of America’s culture of violence. 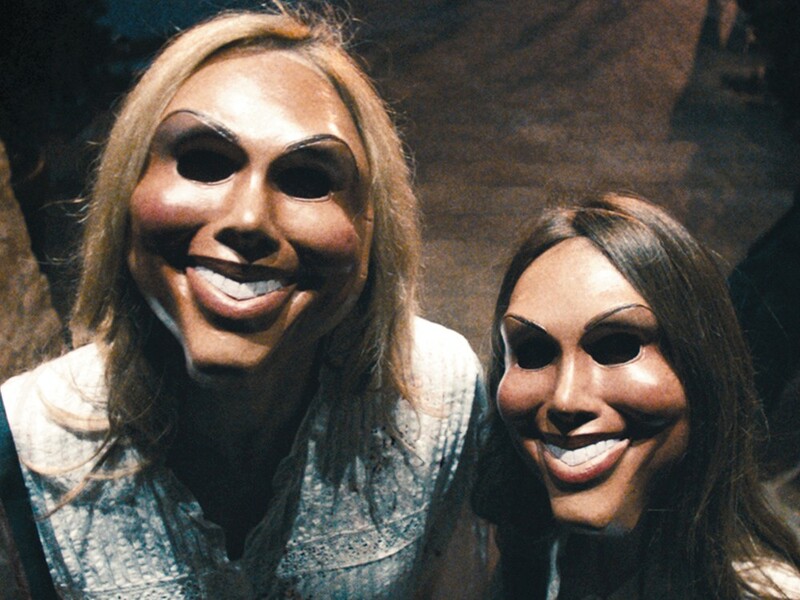 Purge Night is an extreme extrapolation of the peculiarly American notions of “security” and “self-defense” — the Purge is “a lawful outlet for American rage,” a TV announcer tells us, and it is “our duty as Americans” to participate or at least to support it (as the Sandins do). Dad James (Ethan Hawke) has earned the family fortune by selling home-security lockdown systems like the one that protects — supposedly — their own home. When James squawks that “things like this are not supposed to happen in our neighborhood,” it’s not just the bleat of a terrified victim clueless enough to believe that money and a nice house protect you from bad things. It’s part of the film’s direct confrontation with American violence and anger, privilege and delusion.